Having said this, viewers who are familiar with Scientology will recognise the ‘Master’ of the title (a cult leader called Lancaster Dodd) and his organisation ‘The Cause’. Also, many of the characters, relationships and events in the film parallel Dianetics and Scientology, not to mention crucial elements of the cult’s doctrines. However, this is an ‘alternative universe’ version of Scientology which is used to explore a wide range of themes – e.g. family, misplaced loyalty, the trauma inflicted by war – and the film is all the better for this. 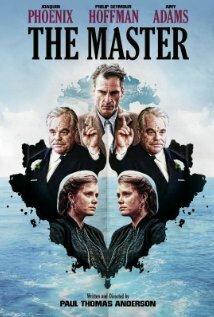 Paradoxically, “The Master” enables the viewer to understand Scientology by approaching it not through rigorous scholarship and detailed time-lines, but via an imaginative transformation which brings out its historical context. Scientology critics should not be disappointed that this was not a narrow docudrama condemning Scientology – they should embrace it for what it was – a masterpiece of imaginative cinematography which shows all modern gurus in a very bad light.